The production cap and production start date were also leaked. Back in December Ford showed off the new Mustang Shelby FP350S, the latest track-only and race-ready ‘Stang. 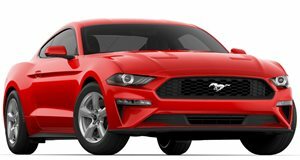 At the time Ford Performance was quite generous with the information it released, although it did withhold pricing, availability and the exact production run. That info is a mystery no longer thanks to redditor sparkzcus, who leaked an order sheet for the FP350S. The turn-key track car has an MSRP of $114,990. Dealers may jack that up given the fact that only 50 of these will be made, with production kicking off in the third quarter of 2017. Other than that there’s not much new to report, at least nothing that concerns consumers. Options are still limited to a graphics pack and Ford Performance aluminum forged racing wheels. Other goodies over stock include a custom exhaust, an APR Performance adjustable carbon fiber rear wing, Sachs race coilover dampers and a burly Ford Performance-tuned 5.2-liter V8. Paying over $100,000 for a Mustang you can’t take on the road may sound silly to some. To budding professional racers on a budget this may look like a deal. We still don’t have any new images of the Ford Mustang Shelby FP350S so check these old photos out and let us know whether or not you think $114,990 (good luck getting it for that price) is a bad deal or a steal.